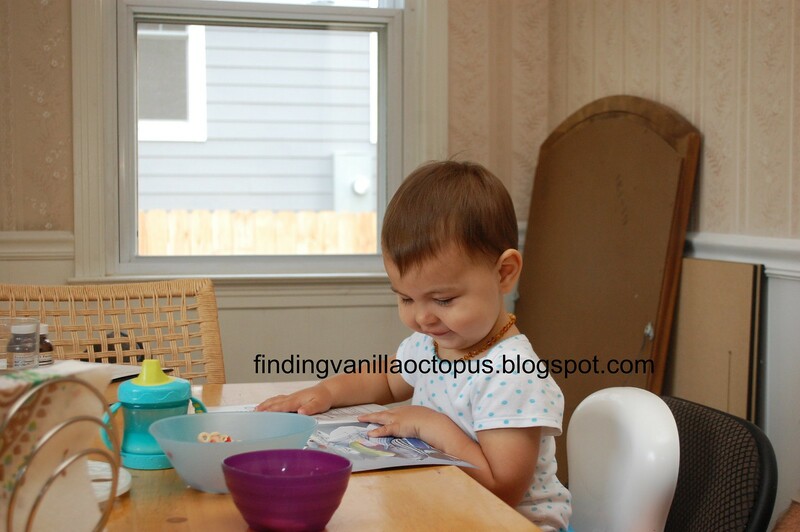 Finding Vanilla Octopus: My Daughter, the Genius? But then she followed that up with, "...and three little bears, sitting in chairs." (See above for clarification of the amount of translation required, on my part, for each phrase). Playing along now, I prompted, "...and two little kittens!" To which she responded, "...and a pair of mittens." Simultaneously, then, we said, "... and a little toy house, " to which she enthusiastically added, "... and a young mouse!" As I sat, flabbergasted, she continued. I thought, at first, that perhaps she was remembering the phrases pretty well, but in pieces. Not so. Story time followed her bath, and I read that section of the book to her. And it went. just. like. that. And then we moved on to some nursery rhymes. We read them from a special book, pre-recorded by her Great-Aunt Chris, so all I have to do is turn the page while the book reads, and Abby looks on. She clumsily recited the first two rhymes along with the recordings, the way that I often find myself stumbling along with prayers in church that I mostly know, but can't repeat unless I'm currently listening to them. So she was getting most every word, just sometimes with a delay. Tom reports that she's started doing this to songs that she hears on the radio while riding in the car. Also, she's memorized the first verse (the only one that she and I know) and chorus of A Bushel and Peck, and sings it to herself frequently. I know that I must sound horribly like I'm bragging, but really, I'm just in awe of her. 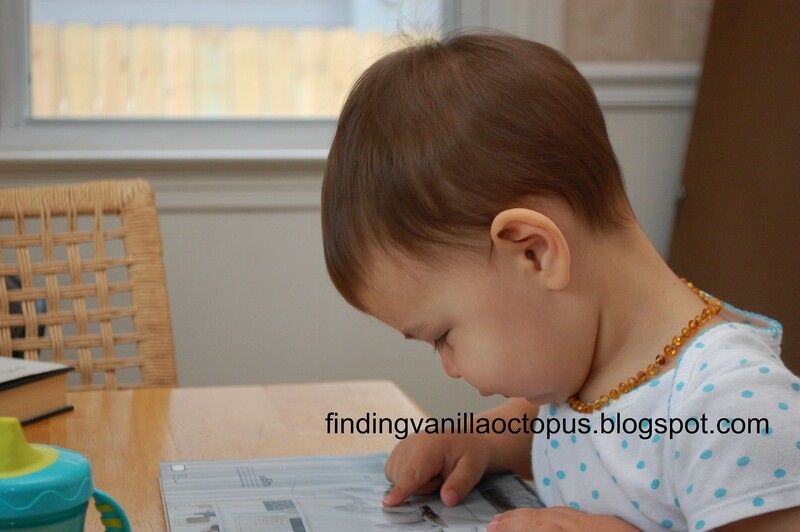 I suppose we're really just talking about simple memorization and repetition here, but she's only 21 months old. What amazing things might she be capable of in the near, and far, futures? I'm excited, and a little afraid, to find out.